Cat products that prove you don’t have to sacrifice performance to be eco-friendly! 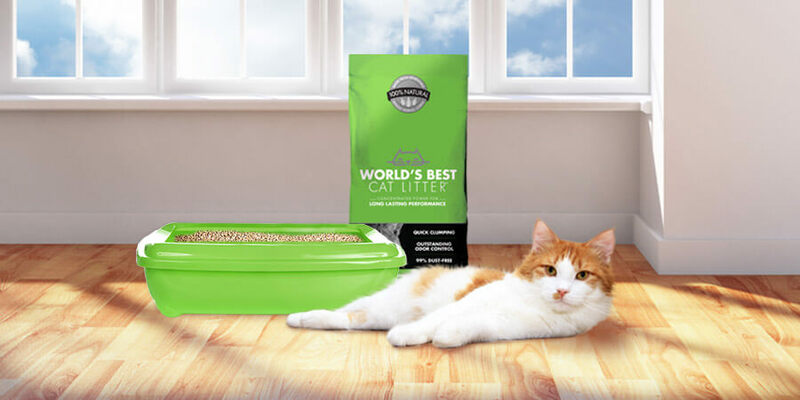 At World’s Best Cat Litter™, we know that modern cat-owners demand products that are good for the environment and still perform. We set-out to exceed that expectation with the launch of our new all-natural lavender Scented Multiple Cat Clumping Formula. Continuing the tradition of our other formulas, this scented formula delivers long-lasting performance by harnessing the odor-controlling power of whole-kernel corn! However, we certainly aren’t alone in delivering planet-friendly performance. That’s why we’ve joined several other pet, people and planet-friendly cat products to form a Sensible Feline alliance that helps cat owners go green while meeting all their cat-care needs! Our new all-natural Scented Multiple Cat Clumping Formula!